Has it ever happened to you that you tracked your time in primaERP on a different project than your colleagues? 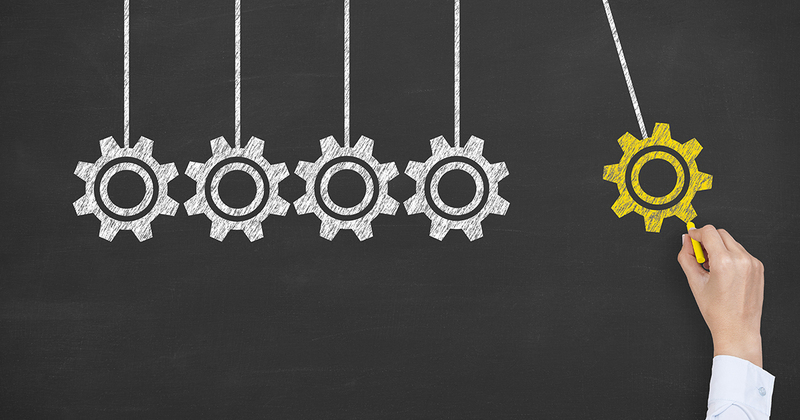 Do you need to unite two projects in Time Tracking into one? You can solve very quickly, there is no need to manually modify all items. In this article we will show how to elegantly move time tracks between projects and other similar “magic” that primaERP offers. 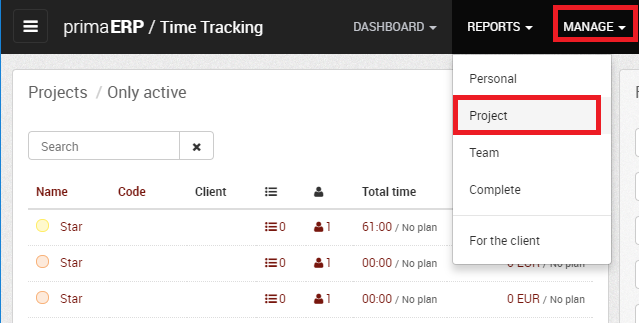 A little team of programmers use primaERP to track their time spent on individual projects. At the meeting their manager asked them to develop a new application Star. The three programmers immediately went to work. Each of them quickly set up a new project at Time Tracking, pressed the stopwatch and started programming. At the end of the month their manager wanted to know how many hours his subordinates had worked on the project. 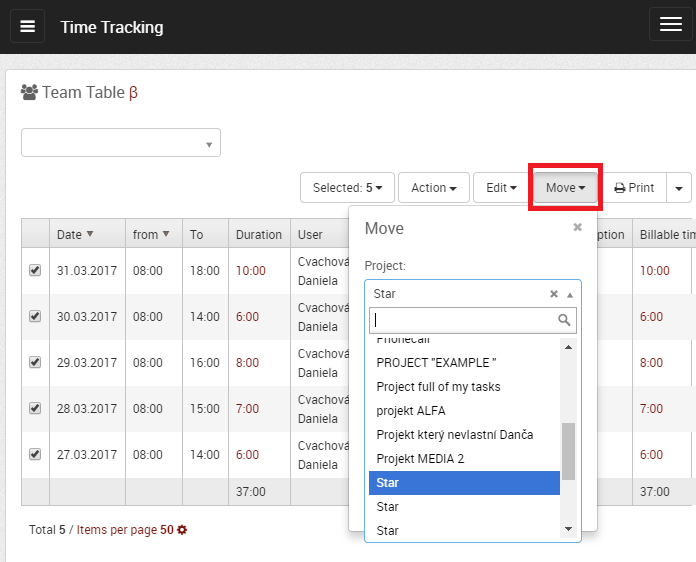 In primaERP´s Time Tracking module, he clicked on Manage > Project, however there were 3 projects named "Star" - each of them used by one of the programmers. The manager is not willing to follow 3 separate projects and calculate the tracked hours in each of them. Moreover, he wants to have a quick overview on what portion of time plan has been spent already. Fortunately, there is no need to ask the colleagues to copy all time records manually. The primaERP application offers a more elegant solution for bulk changes. You can just go to Dashboard > Team Overview and switch to Table view, filter the projects you are interested in (in our example the manager searched for all project named ‘Star’) and just clicked on Selected > All. Using the Move button you can easily transfer all selected time records to another project. In a similar way you can also filter all time records according to users, customers, time period, approval status or other criteria of your choice. With the Edit button you can add or change tasks connected to the time records, mark them as billable or beneficial. The Move button enables not only transfer between projects, but also to another owner or task. When starting to use Time Tracking, you may not set the optimal categorisation of your time records at the first go. Thank to bulk changes you can improve and optimize your time tracking system and fit it to your changing needs and circumstances. Here's the freshest version of snapchat spy app!